Yes members are sharing their thoughts on news of the band’s induction into the 2017 Rock And Roll Hall Of Fame after their third appearance on the ballot. 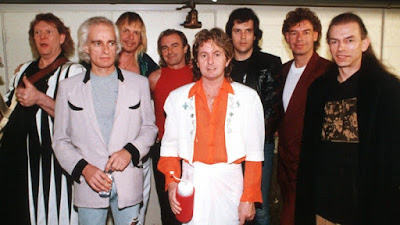 Jon Anderson, Bill Bruford, Steve Howe, Trevor Rabin, Rick Wakeman, Alan White, Tony Kaye and the late Chris Squire – essentially, the lineup behind the group’s thirteenth album, 1991’s “Union” – will be inducted next April at a ceremony in New York alongside Pearl Jam, Journey, Electric Light Orchestra, Joan Baez and Tupac Shakur. The induction will occur one year shy of the legendary progressive rock band’s 50th anniversary. While Yes faced several personnel changes through the years, Squire was the only member to appear on each of their 21 studio albums. 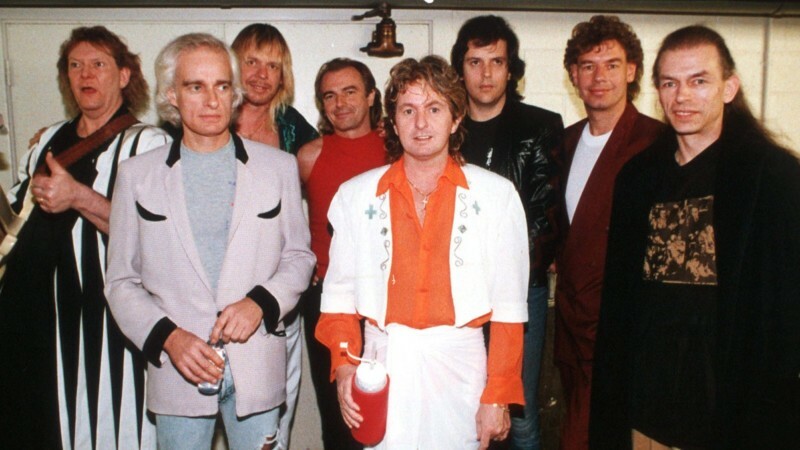 Howe and White currently perform as members of Yes, while Anderson recently hit the road with Wakeman and 1980s-era guitarist Rabin under the banner Anderson, Rabin and Wakeman.